On June 6, 1975, the Branch was renamed to R.C.L. General Chris Vokes Branch 486. 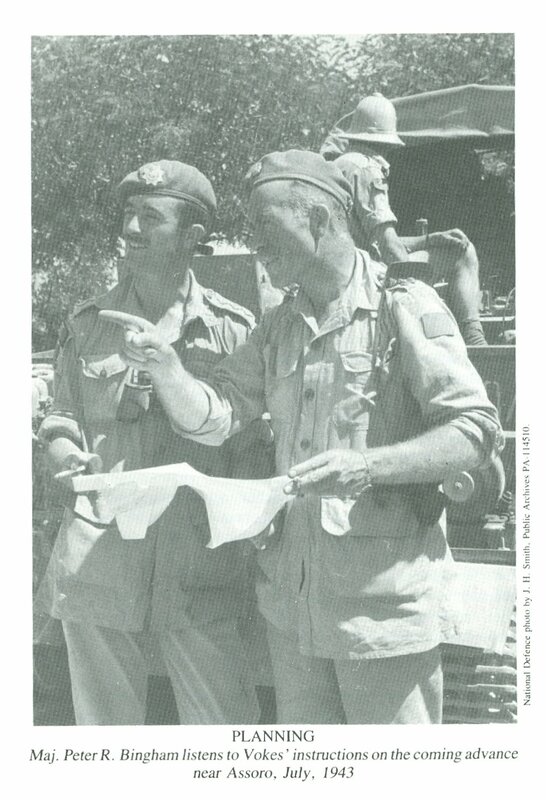 Major-General Chris Vokes served in the Italian campaign in World War II and retired to Oakville in 1959. Born in Armagh, Ireland, on April 13th, 1904, Chris Vokes came to Canada with his family at the age of six. Following in the footsteps of his father, Major Frederick Patrick Vokes, Chris Vokes attended the Royal Military College in Kingston, Ontario, from 1921 to 1925. Vokes then joined the Royal Canadian Engineers of the Permanent Force and received a Bachelor’s degree from McGill University. 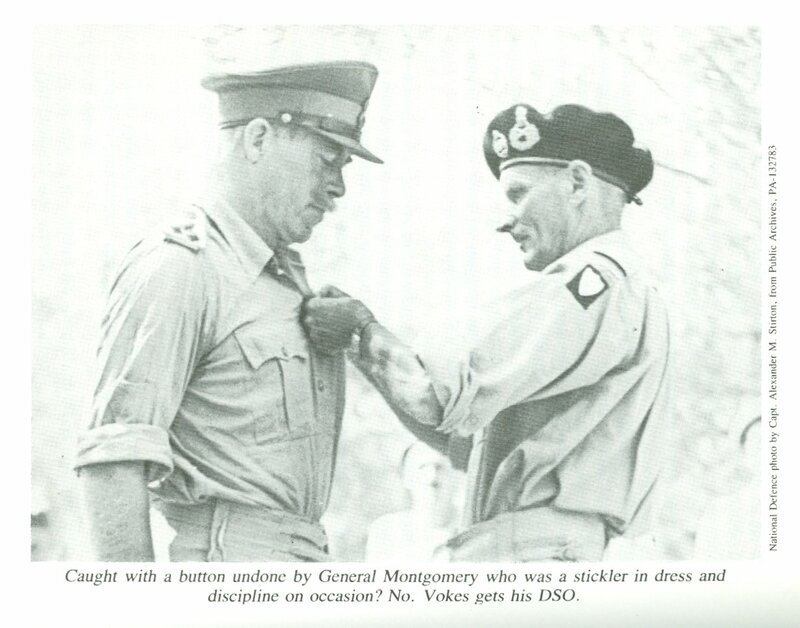 Vokes began his military service overseas in 1939 and quickly rose through the ranks of the Canadian General Staff. Three years into WWII, he was promoted to Brigadier-General and was commanding the 2nd Canadian Infantry Brigade by the spring of 1942. As part of the Allied invasion of Sicily, the 2nd Infantry Brigade landed in Pachino in July 1943, before moving to mainland Italy in September 1943. 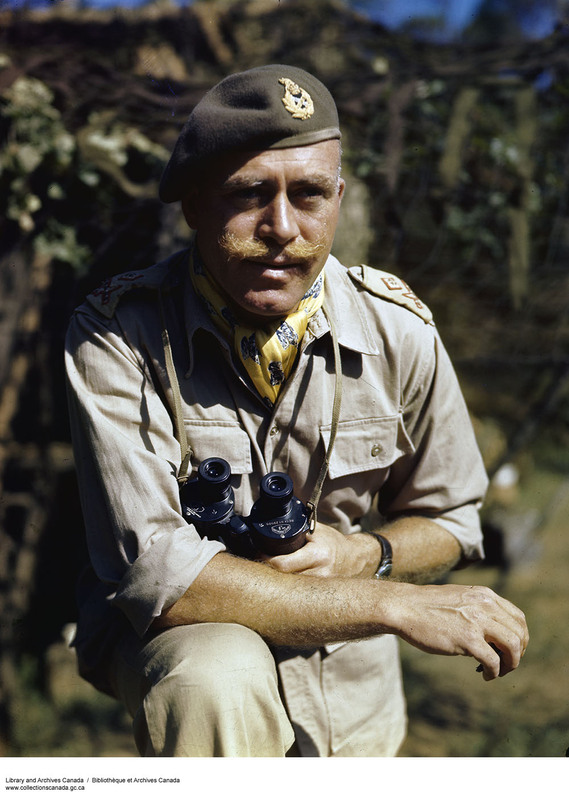 Vokes was promoted to Major-General in November 1943 and became commander of the 1st Canadian Infantry Division. He led the division during the Battle of Ortona through house-to-house fighting and north to the Hitler line. 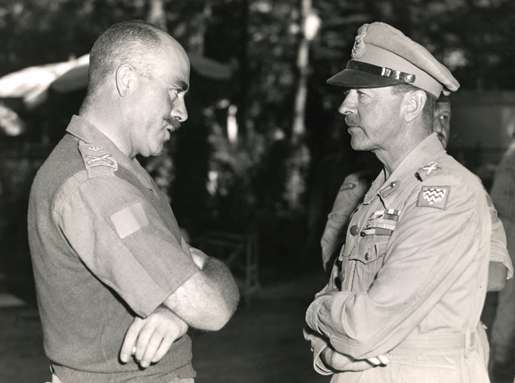 Vokes was given command of the 4th Canadian Armoured Division in 1944 and led the cracking of the German Gothic Line in September 1944. He also led his troops during the February-March 1945 Battle of the Hochwald. 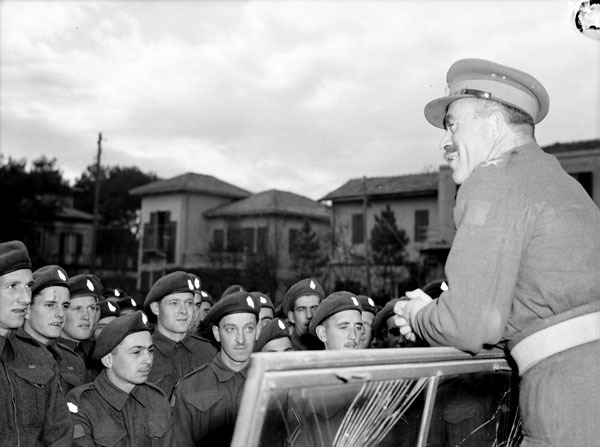 Following the end of the war, from June 1945 to May 1946, Vokes remained in Europe as General Officer Commanding the Canadian Army Occupation Force. Upon his return to Canada, Vokes was put in charge of the army’s Central Command and then Western Command, before he retired to Oakville in 1959. He died March 28th, 1985. On the left is a Canadian "patriotic postcard" from the Second World War featuring Major-General Chris Vokes. This was part of a series of postcards profiling Canadian army generals that were issued free at gas stations in Canada. They were issued by the Union Oil Company of Canada after the D-Day invasion in 1944. According to the Canadian Encyclopedia, Vokes "was one of the few Canadian generals to emerge from WWII with a high reputation as an operational commander," and he is remembered as "a tough, hard-driving divisional commander who met the tough objectives set for his 1st Division." Major-General Vokes believed "discpline to be the hallmark of a good soldier" and that it was the task of a commander "to inspire their confidence and get the best out of them." Before he died in 1985, Vokes published his memoir, entitled Vokes, My Story. 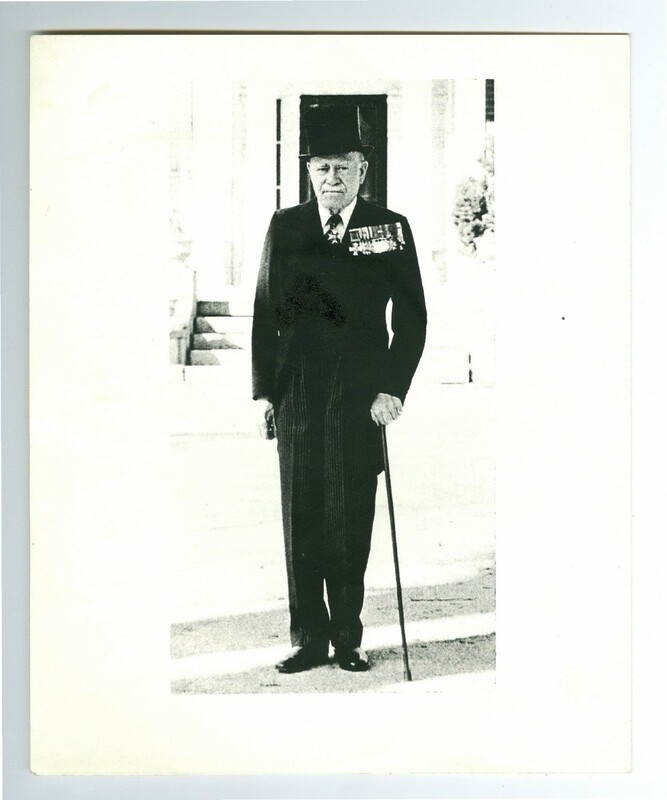 "It is a matter of great satisfaction to me that no troops under my command ever lost a battle, although there were some very difficult ones in Sicily, Italy, Holland and Germany.